The Warsaw Conference is set to take place on February 13th, despite the protests of the Iranian regime. The international conference on the future of Middle Eastern policy, hosted by Poland, will focus largely on Iran’s role in the region. United States Secretary of State Mike Pompeo initially said that the U.S.’s goal for the event was to find ways to make Iran “behave like a normal country.” Although it is unlikely that this goal is realistically achievable, the importance of addressing the Iranian regime’s meddling in the region, as well as its brutal treatment of its own people cannot be understated. The Iranian regime’s history of engaging in conflict in the Middle East is well known. The mullahs have spent millions of dollars of the Iranian people’s wealth propping up the regime of Syrian dictator Bashar al Assad. The international community is less aware of the Iranian regime’s treatment of its own people, but this issue is just as pressing. Iran has been the site of continuous unrest since the nationwide uprising that began in 2017 and spread to 142 cities and every province in the country. What started as a series of protests over economic issues turned to calls for regime change. Since then, protests in Iran have been ongoing, and calls for the overthrow of the mullahs have become louder. The MEK has grown in strength and popularity, as the Iranian people have begun to consider a democratic alternative to the theocratic regime. The Iranian regime has proven itself to be unstable and unwilling to abide by the terms of agreements relating to their exportation of terror or their nuclear ambitions. The United States would be well advised to take note of the Iranian people’s desire to rid their country of its corrupt leaders and provide diplomatic support for their goal of a free Iran. Members of the MEK, the National Council of Resistance of Iran (NCRI), and the Iranian Resistance will rally in Paris on February 8th to protest movement in Iran to the attention of the international community and its policymakers. 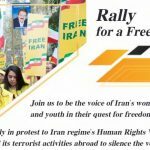 The rally, which is scheduled to take place just a few days before the Warsaw Conference, will provide an opportunity for international leaders to listen to the voices of the Iranian people who seek an alternative to the repressive rule of the Islamic regime. 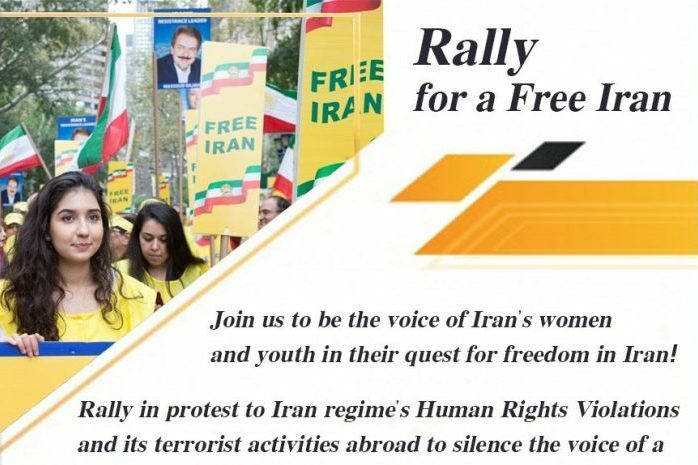 Western media has a responsibility to cover this event, both to provide a megaphone for human rights activists to have their voices heard and to allow the world to learn more about the global threat posed by the Iranian regime. The Iranian regime’s current human rights record is appalling. The response to the ongoing protest movement has been a brutal crackdown on protests and political activity, as well as an increase in floggings and executions. The Iranian regime’s history of human rights abuses is not new, though. In the summer of 1988, Iran has just concluded its war with Iraq and wanted to reaffirm its authority over its people and destroy its main opposition, the MEK. The regime rounded up all of its political prisoners, most of whom were MEK members or supporters, and executed them in groups. In one summer, the regime executed 30,000 people in a failed attempt to eliminate the MEK. The regime now finds itself in a similar position: people are protesting in the streets and calling for regime change, the MEK is more popular than ever, the economic crisis has worsened due to sanctions re-imposed by the U.S., and the European Union recently expelled the Ministry of Intelligence and Security (MOIS) and two of its agents due to the regime’s terrorist activities in Europe. It is very possible that the regime could respond to this increasing pressure by following through on its earlier threats to execute peaceful protesters in larger numbers. The international community does not want a repeat of the 1988 massacre. The alternative to this scenario is for Western allies to adopt firm policies toward the Iranian regime and to stand in solidarity with the Iranian opposition (NCRI). This strategy might well save the lives of Iranian protesters and enable the establishment of a free and democratic Iran, which would make the world a more stable and peaceful place.